In Fighting for Atlanta: Tactics, Terrain, and Trenches in the Civil War, Earl Hess continues both his prolific writing career as well as his series of books on Union and Confederate Field Fortifications, maintaining his usual standard of excellence. This, the fourth book in the series, moves readers to the Western Theater and the Atlanta Campaign. The hills and mountains of northern Georgia created a whole new set of challenges for Civil War commanders, and they steadily learned to conquer those challenges as necessity dictated. Hess also focuses on the common soldier and how they tried to adapt to the brutal conditions of almost daily trench warfare. All in all, this is a worthy addition to the series. Those of you who know I run a Siege of Petersburg site probably know which of these my favorite is. For those of you who are familiar with Dr. Hess’ work, you know this is just the tip of the iceberg. 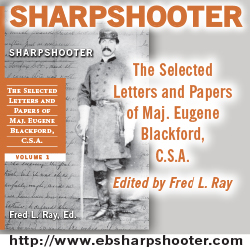 He has written widely on the Civil War about many topics, including but not limited to The Crater, the 1862 Kentucky Campaign, the 1864 Siege of Knoxville, Pea Ridge, and many, many others. The University of North Carolina Press has published not only this book, but all of those listed in the bullet points above. Clearly Dr. Hess has found a willing partner, and the formula has worked to everyone’s benefit, especially readers. My assumption is that most people who are going to read this book are already intimately familiar with the Atlanta Campaign. It is definitely not the first book you want to read on the operations in northern Georgia in 1864. Given that, we will keep this brief. Sherman’s Atlanta Campaign proceeded down the Western & Atlantic Railroad from Dalton, Georgia to the Gates of Atlanta from May to July 1864. Three major fights occurred around Atlanta itself in late July, followed by maneuvering by Sherman to get around Hood’s flank and cut his supply lines. This maneuvering resulted in the Battle of Jonesboro in late August, followed by the fall of Atlanta on September 2, 1864. That’s the short, short version of the Atlanta Campaign, to paraphrase the Mel Brooks classic Spaceballs. So now that we’ve given a cursory look at the basics, let’s dive in to what this book is really about. As the author indicates I the Preface, this isn’t just a book describing the field fortifications. It looks instead at how the rough terrain shaped how leaders built fortifications, and how these fortifications grew more elaborate over time, just as the soldiers’ ability to create them grew and grew over the course of the campaign. This book attempts to link the terrain, the fortifications which grew from the terrain, and the altering of tactics due to both of these factors. And the Atlanta Campaign featured much less forgiving terrain than that found in Virginia between Fredericksburg and Petersburg. Hess notes that his three previous books on the Atlanta Campaign, featuring Kennesaw Mountain, Peachtree Creek, and Ezra Church, all give ample space to the field fortifications and their effect on the fighting. 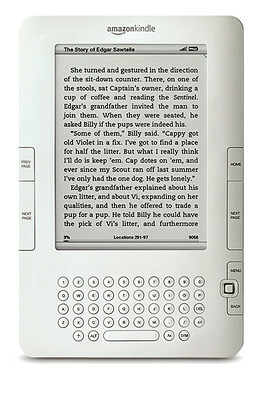 Through the course of the book, Hess covers eighteen (!) separate, distinct sets of field fortifications dug by the Confederates to oppose Sherman’s advance. Hess shows how the earthworks grew increasingly more elaborate over time. Interestingly, he makes an excellent point about how Sherman’s men started to use earthworks for OFFENSIVE purposes, moving skirmishers ever closer to Confederate positions and digging earthworks on the fly. This allowed Sherman to hold far more line with far less men, allowing him to send large bodies of troops around the Confederate flanks and moving unrelentingly south to and beyond Atlanta. Hess has an almost encyclopedic knowledge of the terms associated with field fortifications in the Civil War. Thankfully, he accompanies the text with two items of great importance to work such as this: maps and detailed drawings of specific fortifications on almost every one of the eighteen lines the Confederates dug. The campaign maps do not show the terrain, possibly the only minor gripe I have about the entire book. That said, the extremely detailed drawings of the fortifications, based on Hess’ own exhaustive field work, more than makes up for this drawback. In addition, the book is filled with photographs of the various field works and trenches after the fighting had moved on. Comparing images of the early campaign to those covering Atlanta itself show a staggering increase in the complexity of the works built by both sides, keeping in mind that this campaign only lasted just short of four months. I alluded to it earlier, but Hess’ conclusion is fascinating in that he sums up how the Union and Confederate forces used earthworks differently. I, at least, tended to assume that these earthworks were made in almost exactly the same way. But the extent of the earthworks created, combined with the speed in which they needed to be built, meant men were constantly improvising and improving the process as they went. Necessity is, after all, the mother of invention. In an appendix called “Fortifying during the Atlanta Campaign,” Hess goes into details that didn’t fit so neatly into the main text. These include the extent of fortifying, which dwarfed any previous experience of every soldier involved in the campaign. Hess estimates hundreds of miles of earthworks were created in these four months. He also looks at the various units in the campaign. Just as with fighting, some units were better than others at digging, and that includes both motivation for and ability to dig. The end of the appendix again covers the differences in Union and Confederate works. A Union soldier commented that the Federals had been better at digging at the beginning of the campaign, but the Confederates had equaled and then exceeded them in this ability by the fall of Atlanta. 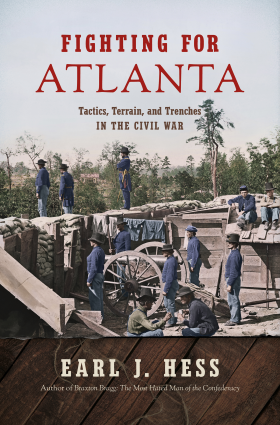 Fighting for Atlanta: Tactics, Terrain, and Trenches in the Civil War is an excellent next level look at the Atlanta Campaign. It is for veteran readers of the campaign, and not recommended for those new to these operations. For anyone with a good grasp of what happened, this book is meant to extend your knowledge, and give more insight into why Sherman, Johnston, and Hood made some of the moves they did. As readers have come to expect, this is another in a long, long line of excellent Civil War titles by Dr. Hess. It is extremely difficult to create one rock solid book on the Civil War, much less dozens, all while maintaining the highest quality of work. This one is highly, highly recommended for veteran readers of the Civil War. Thanks for this review, Brett. Most of Hess’ work is quite good. I still wish he would have someone else draft his maps. I think they are awful, and the size and manner in which the diagrams, etc. are reproduced makes them less than helpful, at best. At least that is how I view it. His Bragg bio is my favorite of all his books to date. You’re welcome Ted. Yes, in a book specifically about how terrain, tactics, and fortifications were all intertwined, the maps could have done a better job showing just how rough the terrain was here. I still have a soft spot in my heart for Dr. HESS’ book on Pea Ridge, although they are all very good, as you say.